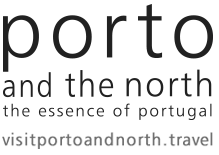 Just across the river from Porto is where you will find one of Portugal’s most cherished traditions: the art of aging port wine. Centuries ago, wine cellars established themselves here to age the delectable wine that was produced in the Douro region. From here, the traditional Rabelo boats would ship the wine into Porto and beyond. Today, the Rabelo boats are tourist attractions and the wine cellars are open for guided tours and wine tastings. Cheers! The two largest Portuguese cities both have an intricate network of old-fashioned trams that can take you through some of Lisbon and Porto’s most charming quarters. In Lisbon, the 28 Tram cuts across Alfama and climbs Baixa to take you all the way up through Graça to Estrela. The 15 Tram is useful to discover the riverside area of Belém. In Porto, take the Tram line 1 to take in stunning views of the Douro River from Ribeirinha to Foz. Did you know there are more than 100 ways to prepare a (delicious!) codfish meal? Or that the Pastel de Belém is such a tasty pastry that its recipe has been kept a secret for over 180 years? Food is as much a part of Portuguese culture as anything else and eating your way through the country will be one of the tastiest ways to discover the ancient traditions of Portugal. Enjoy fresh seafood delicacies along the coast, delicious pork dishes in the center of Portugal and mouth-watering cheeses in the north. Want to experience Portugal’s mountains like only a local could? Join a shepherd for a day and follow a centuries-old tradition through the hills and valleys of Serra da Estrela. Let yourself get lost among the rhythm and sounds of nature as you spend the night with the flock under a starry sky. A night to remember! With a mild climate and a great variety of waves, Portugal is the ideal destination for surfers of all levels. Learn to surf in Matosinhos, ride wave barrels in Peniche or catch some of the country’s best waves in Ericeira. Tasty seafood restaurants and beautiful beaches await you once you need to take a break from the water! The Douro Valley is a true gem in Portugal’s landscape, and there are plenty of ways to discover it. Perfectly sculpted vineyards, charming hotels, and a delicious cuisine await you. Catch the old train that takes you upstream along the river and enjoy one of Portugal’s most scenic train rides. Or climb aboard a Rabelo boat to sail through the Douro River with a bottle of port wine. Hiking, trekking and cycling trails also abound here, allowing you to explore the region at your own pace. From North to South, Portuguese people are ready to welcome you and show you around their country as if you were one of their own. (In fact, this is one of the many excellent reasons why you should visit Portugal!) Enjoy a fresh bottle of wine by the fire with a local family in a historic village or spend your days participating in one of Portugal’s many ancient traditional rituals. The friendships you make here are sure to last you a lifetime! 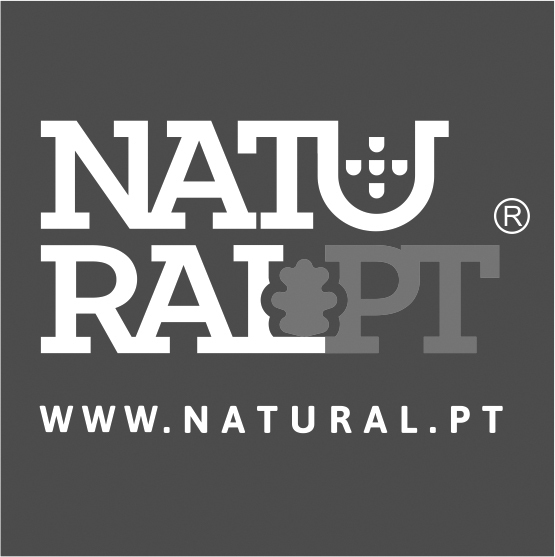 In the autumn, enjoy Portugal’s fresh weather on a fun field trip into the country’s dense forests. Here, you will find delicious wild vegetables, such as mushrooms, among towering oak trees, fresh creeks and lush bushes. Observe wildlife, take photographs or simply take in the scenic views as you pick some of your favorite vegetables. At the end of the day, enjoy a hearty snack prepared with the day’s catch! Dating back to the 13th century, azulejos (a type of ceramic tiles) are an intricate part of Portuguese decorative art. Today, you’ll find them adorning building and church façades or telling stories of Portuguese wars or religious episodes on vast walls in palaces and monuments. Portugal’s mild climate makes it an excellent destination to visit year-round. With over 300 days of sunshine, Portugal has the perfect conditions for you to enjoy its incredible outdoors. Pedal along the Atlantic Coast, trek to Monsanto Castle and enjoy the views from the top, hike along our mountain rivers (and take a dip in their crystal-clear water if it gets too hot!). Running through the rolling hills of Alto Alentejo, following along the Atlantic Coast and cutting across mesmerizing landscapes at Peneda-Gerês National Park, cycling trails abound in Portugal. So get your gear, choose your route and explore the best of Portugal’s natural landscapes and historical villages on two wheels! Portugal’s beauty extends well beyond its continental borders to its islands. On the Azores archipelago, hike through untouched mountainous landscapes to discover pristine lakes, calderas, and caverns. In Madeira, choose from the intricate network of over 2,000 kilometers of trekking trails and then unwind at the beach in sunny Porto Santo. Sleepy coastal towns, medieval castles, dramatic cliffs and golden beaches: there are many ways to experience Portugal. And our top 12 suggestions are just the beginning! So start packing and book your flight today – a new adventure awaits you around every corner in Portugal’s ancient landscapes.